The best commissary coupon site for maximum savings and exciting features is MyMilitarySavings.com. We’re a website dedicated to helping military families like yours stretch the dollar, and provide you with an online community offering tips, support, and friendship. As a member of MyMilitarySavings.com, you’ll discover a whole new world of savings that will leave you with more money in your pocket, as well as exciting features that will give you more time on your hands to spend with family and friends. We show you exclusive manufacturer coupons that will highlight weekly savings offered by some of your favorite brands, including J.M. Smucker Company, Kellogg’s, Nestlé Purina, and many others. You’ll find quick and easy access to your Commissary Rewards by clicking on the Commissary Rewards Card link that will take you directly to the Defense Commissary Agency’s (DeCA) digital commissary coupon site, where you can clip and download hundreds of coupons for extraordinary savings. We offer convenient access to Price Connexion and Coupon Connexion flyers so you can plan your shopping strategy before you hit the stores. You can easily create your shopping list at home and either print it out or retrieve it from your mobile device, so you’ll never leave home without your list. 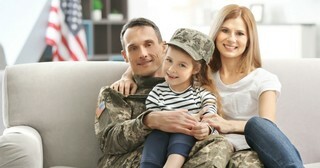 Join MyMilitarySavings.com today on our sign-up page and find out why more than 70,000 members rely on us as their source for commissary coupon savings.